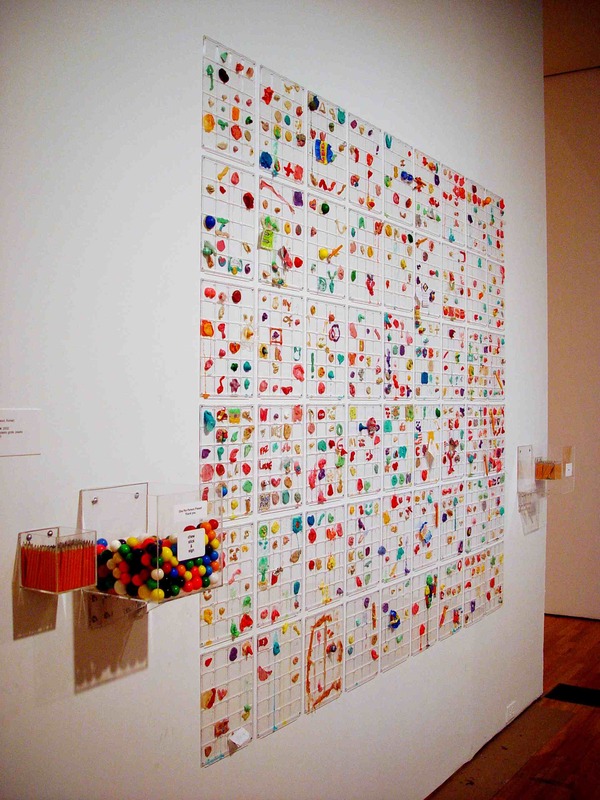 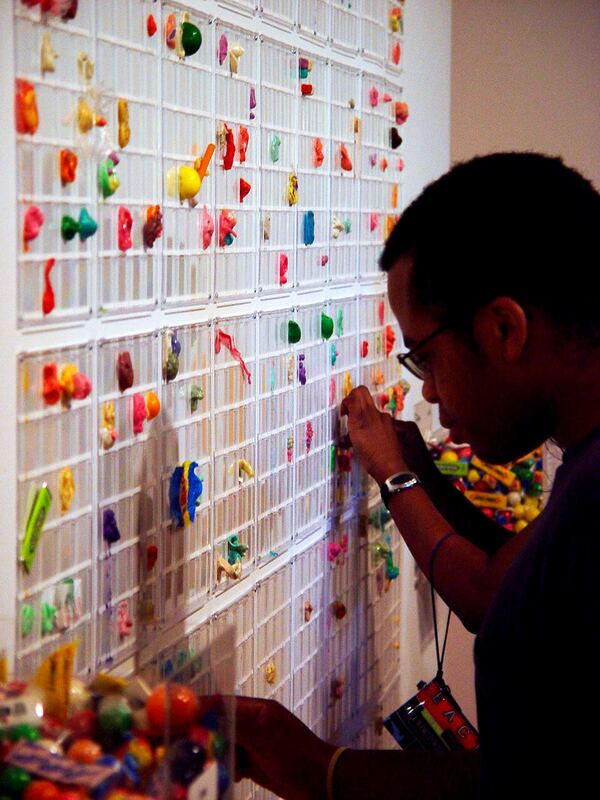 An interactive installation “DNA : Making A Mark,”(2002) exhibited at The Queens Museum of Art, celebrates “individualism and identity” in light of recent genetic advances. 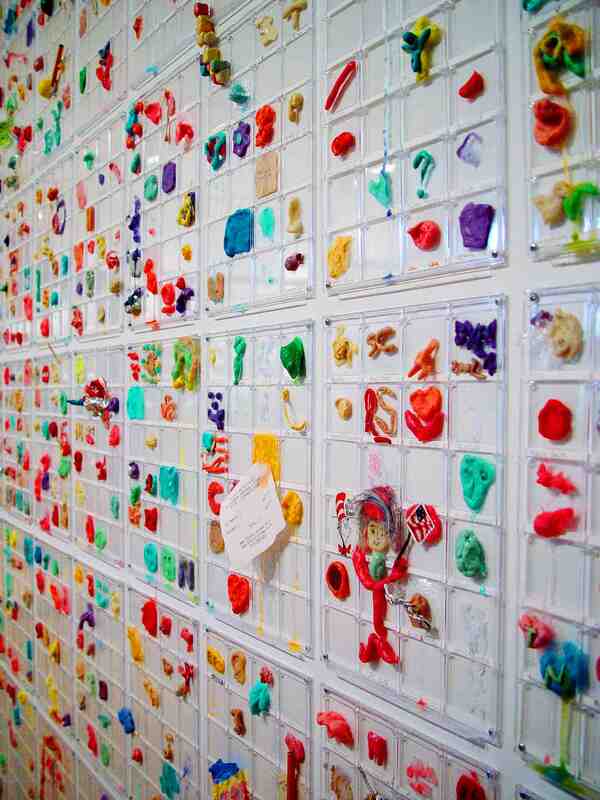 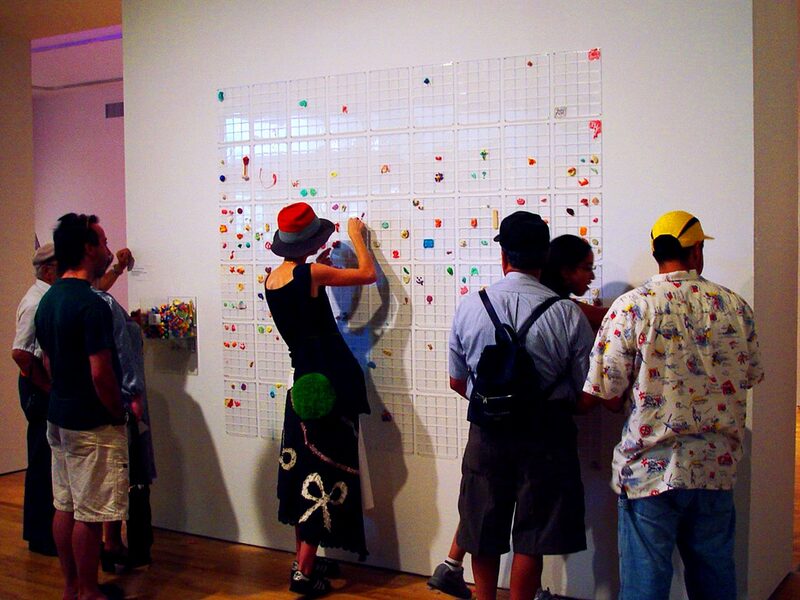 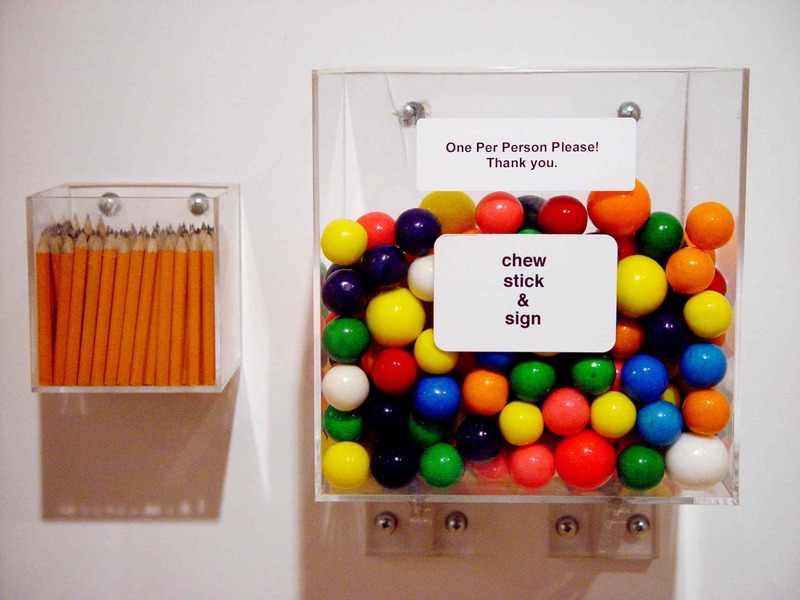 Over a thousand people are invited to chew gum (One method of DNA testing), then stick it in plastic grids on the wall, and sign their names - thus encoding DNA, fingerprint, personal expressions, and signature all at once. 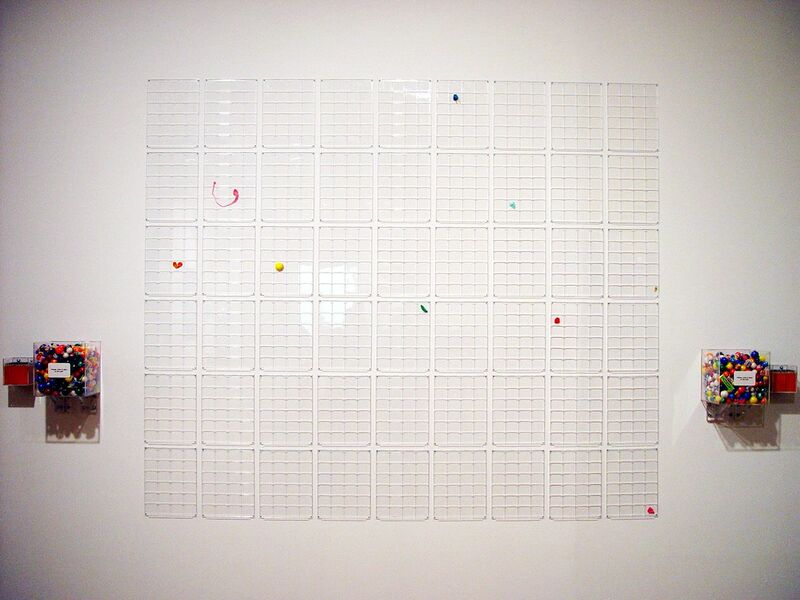 Over time, the grids transform into a large gestural abstraction which encodes individuality and marks- a collective portrait of people’s personal expressions.